This year, it will be held at Boardwalk Hall in Atlantic City, New Jersey on September 11, 2016. It will be hosted by “The Bachelor” host Chris Harrison and “NBA Countdown” host Sage Steele on Sunday night. The beauty pageant competition judges are Ciara, Mark Cuban, Gabby Douglas, Sara Foster, Laura Marano, Cole Swindell, and Sharlene Wells Hawkes. $50,000 will be provided as the college scholarship to the winner of Miss America beauty pageant as the prize. 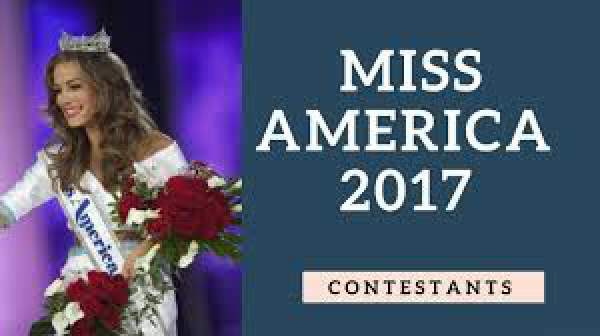 Moreover, the last year’s champion, i.e., MissAmerica 2016 Betty Cantrell will crown her successor in a stunning ceremony at 9 pm ET today itself. The event is made public and will be telecast live on TV and can be streamed online via ABC right from the venue. Also, the viewers can catch the live updates from the Twitter and Facebook fan pages of Miss America. Photos and videos of Miss America grand finale 2017 will be available right there. It will be for the first time in the history of the competition when an openly lesbian contestant Miss Missouri Erin O’Flaherty will participate in the event. She said that they had been praised behind the scenes. However, she is the first openly gay title holder, and that’s what excites her. “I knew that this is the great chance to create history. The platform will make me more visible to the community, and I would get to meet more people,” she said. This is all about Miss America 2017 winner live streaming. Stay tuned to The Reporter Times for latest news.